There are thousands of beaches in Australia. Many of them, albeit beautiful, look extremely similar. You can expect vast expanses of sand, lively waves, and crowds of people. However, if you drive three hours south from Sydney, you will find the majestic beauty and tranquillity of Jervis Bay. With some of the whitest sand in the world and transparent aqua blue waters, you’d expect this small town to be bustling with tourists and visitors. But, it’s quite the opposite. Jervis Bay has escaped high rises and tourist gimmicks; here the beauty lies in simplicity. It invites you to wander, cycle, swim, paddle, and explore the wonders of the natural world. It even invites you to just sit and enjoy the free-spirited ambiance and appreciate the beauty that surrounds you. 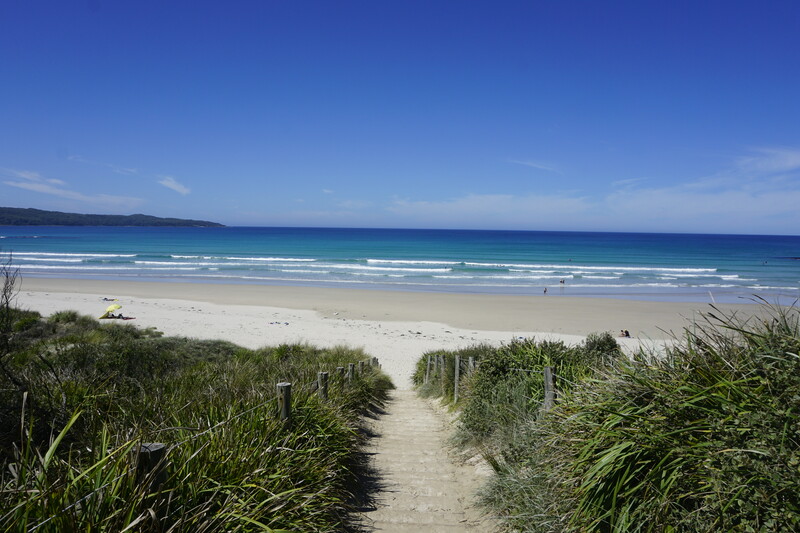 Jervis Bay is home to stunning National Parks, an abundance of wildlife (both in and out of the water), and even has one of Australia’s smallest wooden shack cinemas. You’ll find calm waters, for those who want to swim or scuba dive, and, for those wanting some adventure, you’re down the road from what the local surfers call, Australia’s halfpipe. 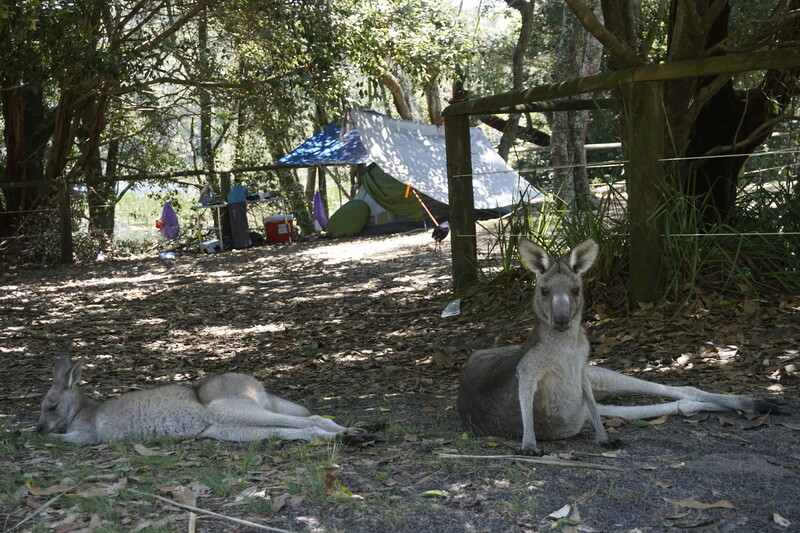 In Cave Beach campsite you will wake up to the rustling of kangaroos at your door. There are around 50 kangaroos that lay around or hop from one tent to another welcoming you personally to their home. During the day, they’ll bask in the sun next to your tent, graze on the grass, or even approach you for a stroke. 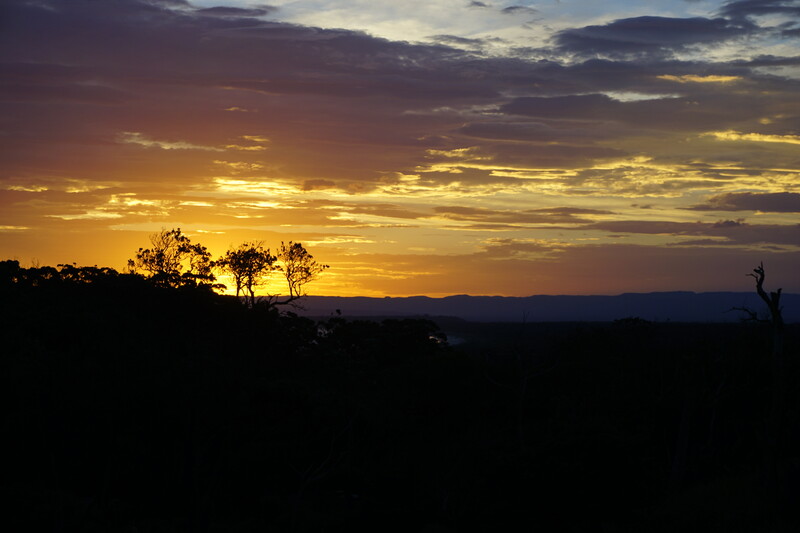 The whole camping ground is bursting with wildlife; you’ll even see small (nonpoisonous) snakes, possums, echidnas, and a whole abundance of birds. Sitting in the sunshine, listening to the tweeting of the birds, and watching the passing of animals around you is one of the most serene activities that you can do here. If you walk two minutes from your tent, you will come to the top of a set of beach steps that overlook the stunning vision that is Cave Beach. Here, waves are soft, slow, and mellow, rolling in one after another like smooth butter. While you are surfing, look out to the vast expanse of water and you will see a pod of eighty bottlenose dolphins passing in the bay every morning. In the shallows, you’ll pass turtles, see stingrays, and you could even surf a wave with some of the local sea lions. In the Winter months, you’ll share the ocean with humpback whales, who pass through Jervis Bay on their annual migration. After a day of relaxing, head to the beach at sundown and watch this beautiful sunset across the ocean. The sky slowly turns from a copper light slowly into a beautiful, pink twilight. Camping in Booderee National Park also means there is no light pollution around, so each night the sky is littered with stars. The night doesn’t have to end here, the camping grounds offer small fire pits where you can keep warm and even toast marshmallows. Jervis Bay really is an oasis of tranquility, your days here will be filled with total relaxation and you will feel a million miles away from the chaos of everyday life. Wow! Such an absolutely beautiful place! 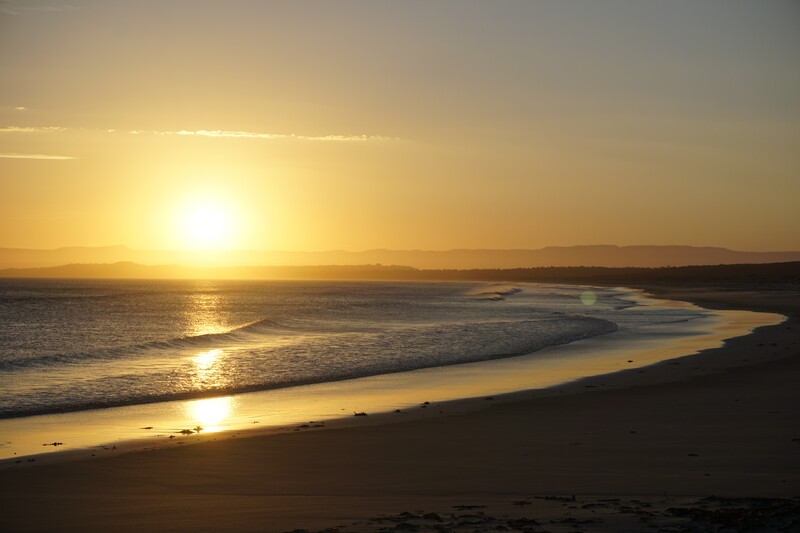 If you’re interested in learning more about Jervis Bay, you can check out the Visit NSW website. And, make sure to follow Ella’s blog to keep up with her adventures!